The Indian Army has rescued nearly 350 people including 115 civilians, 216 Army personnel and 12 personnel of Indo-Tibetan Border Police (ITBP) in Sikkim over the last two days after incessant rains and landslides hit the north and east region. In a press statement, Wing Commander Ratnakar Singh said, "Lines of communication have come to a standstill and daily activity has come to a halt in most parts of the state. The road connectivity has been disrupted due to landslides in the region of north and east Sikkim." 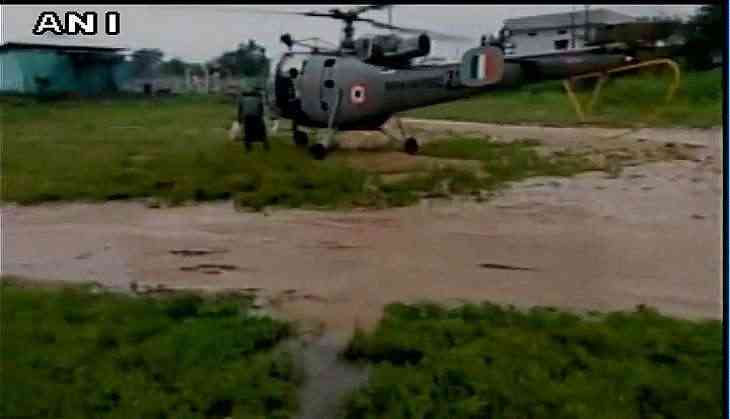 The Army also sent two Mi-17V-5 military transport helicopters carrying 22 tons of life-saving relief material to the far-flung regions of Sikkim in an attempt to provide respite to the stranded people. "On Sunday they brought down 168 people including several ladies and children to safety. Today (Monday) they have pulled out 184 people from Chugthang Mangan Chhaten to the safety of Gangtok and Bagdogra. They also lifted 15.5 tons of fresh rations and delivered nine tons of relief material to the stranded population. On Monday they rescued ITBP personnel apart from Civil tourist population and Army personnel,' the statement added. A number of tourists stranded in North Sikkim due to heavy rains and multiple landslides. The area has been experiencing incessant rains since the past three days.